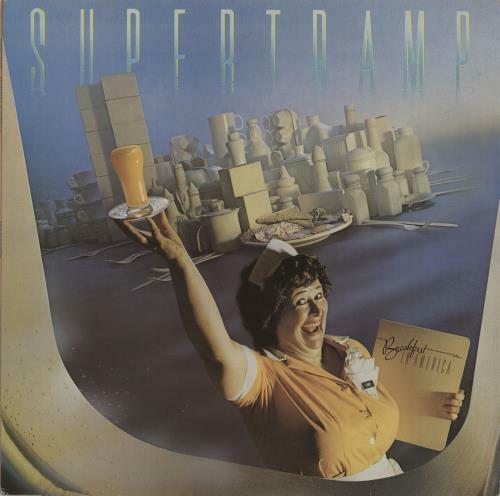 SUPERTRAMP Breakfast In America (1979 UK 10-track vinyl LP featuring the singles The Logical Song, Goodbye Stranger and Take The Long Way Home, complete with illustrated lyric inner, picture sleeve. The sleeve shows just a little light shelfwearwith a bit of edge scuffing & the vinyl remains in excellent condition with few signs of play AMLK63708). or visit our Supertramp image gallery.